Three months. It seems like so much time, but really it is just a blink. I remember thinking that 12 weeks was some magic number for me, both with my living daughter and the grief after my second daughter died. And it wasn't. It is just as you said, Impossible that it could feel more painful, inconceivable that I could miss her more, love her more, and then 12 weeks and one day later, and I miss her, love her, ache for her more. Abiding with you and K and S.
I distinctly remember this happening as well. I know it was around 15 weeks. Suddenly when asked how long it had been, I could no longer remember. So then we counted months, but if you asked me now, I'd be hard pressed to tell you the exact number. All I know is, three years is almost upon us. I suppose at some point, when I'm old and craggy, it might even get hard to remember how many years it has been. I know one thing though, and that's that I'll never forget. 15 months after she died, when her brother was born, I remember the same thing happening. No longer remembering what week were in and then counting his monthly milestones. And I also remember the contrast of it all. Watching him grow, change and evolve in those weeks and months - all the things she never got to do. And will never get to do. Our newborn, frozen in time. 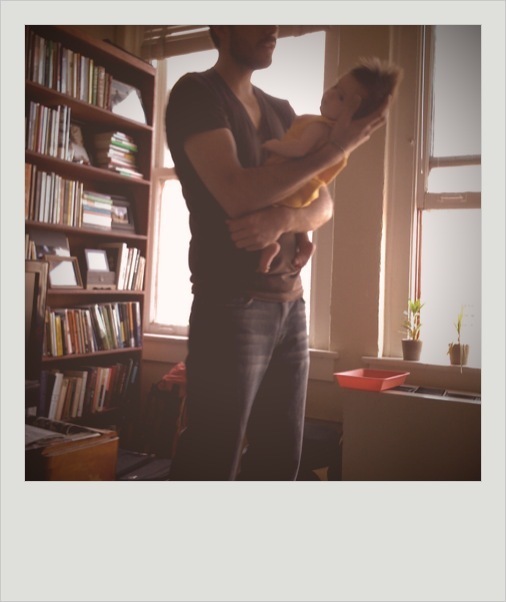 Thinking of you guys, and baby Margot. I think the missing only grows as time goes on but it does get more manageable. Love the mohawk, BTW. That is some serious style. It is all so hard, and the missing just goes on. Having gone through it as you are, with my older child with me, I couldn't help remember where he was at the same point in time. As in, "I should have a little girl here who's starting to roll over, starting to laugh, because that's what E was doing at this point." And yes, three months seems like some . . . thing. Some milestone. And it is--I just wish you were having a different one. Sending lots of love and peace your way. Thanks for the perspective and love guys. It does seem like so little time in the grand scheme of things - less than 100 days - even though some days it feels like a lifetime ago that Margot was kicking her little heart out.